hiatus, JAM reflects on the media highs and lows of this ground-breaking band. Disclaimer: Jaime does not condone the use of the word, “ground-breaking” in this context, or endorse any positive views expressed about the music of One Direction in this blog post. Embracing the digital age of music, the band has built its global fan base by placing social media at the centre of everything it does. 1D empowers its fans by addressing them directly on Facebook, Twitter and Instagram, offering them exclusive photos and messages before the journalists find out, creating the idea that the fans come first. The result? An average of 21 million Twitter followers each, the official Twitter account ranking #27 globally, and all (past and present) members of the band featuring in the top 100 most followed accounts. 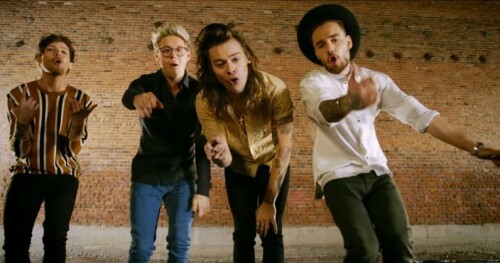 Not without its risks, social media sometimes proved to be a double-edged sword for 1D. On announcing Zayn Malik’s departure from the band in 2015, #Cut4Zayn trended on Twitter, promoting self-harm to convince him to return. There was widespread shock at the dangerous craze, highlighting an unexpectedly sinister side of the digital fan world. The growing interest in the unusual nature of the 1D fan base meant the band continued to feature in the papers, because of the “Directioners”. The fans commanded headlines when one Tumblr user suggested fans release the band’s single, “No Control” as a “DIY project”. Feeling that the single hadn’t received the attention it deserved, they picked a release date and downloaded the song en masse, in an attempt to get the single in to the UK top 10. It trended worldwide on social media and was covered by national news and broadcast outlets. 1D fan girls even got their own programme on Channel 4, “Crazy About One Direction”, which dissected the next-level obsessive devotion of the band’s fans, focusing on their unique social media habits. The notion that a normal girl could go viral and gain thousands of Twitter followers overnight, by simply getting a retweet from one of the 1D boys is very real evidence of the power they have commanded in the social media sphere. Much like fellow media darling, David Beckham, the 1D boys have mastered the art of charming an audience in an interview, without ever actually giving much away at all. They quickly bring the interviewer on-side which results in a beautifully-contrived, yet surprisingly convincing few minutes of cheeky banter and charming tomfoolery (sorry – really struggling to stay objective at this stage). Any touchy subjects (band split rumours / sexual orientation questions / love cheat allegations) are effectively side-stepped and never confirmed or denied. They’re simply not addressed. Genius. If you’d like to know how we can harness the power of social media and positive press to advance your brand, contact Jaime@jampr.co.uk to discuss your objectives. If you’ve been affected by the split of One Direction, contact Niamh@jampr.co.uk to seek comfort and support. Online video content serves as one of the best ways to display content as it gives both information and entertainment value in an easy-to-digest format – in an age of information overload, this is increasingly desirable. •	Embedded videos on websites can increase traffic up to 55%. •	Merely mentioning the word “video” in the subject line of an email can increase open rates by 13%. •	Nearly 40% of all video is watched on mobile. •	The top 100 leading advertisers run daily video campaigns on YouTube. •	By 2017, video will account for 69% of all consumer Internet traffic. On Tuesday 19th January, Kevin Hart and Ice Cube treated fans to a surprise guest appearance at the Northern premier of their latest box office comedy, Ride Along 2 in ODEON IMAX at The Printworks… yes, really! The unexpected arrival of the celebrity pair was met with excitement and shock by 200 fans in the exclusive screening, where they thought they were simply getting a sneak preview of the film. Recognising the potential for, quite frankly, BRILLIANT video content, the surprise appearance was filmed on a regular iPhone and streamed live via Periscope. It was then seeded out on The Printwork’s social media channels. As I write this, the video has 347k views. Fans on The Printworks’ Facebook page increased by 909 and the Facebook post received 8k likes, 6.75k shares and 3k comments. On Twitter, The Printworks acquired 81 new followers, 195 retweets and 46.8k organic impressions. You might have noticed that Ice Cube was trending on Twitter on Tuesday, as well as #RideAlong2MCR (a dedicated hashtag created by The Printworks), and it was all down to the power of video. If a picture is worth a thousand words, then a minute of video is worth a whole lot more! If you would like JAM to help you with a social media and digital strategy, contact Jaime@jampr.co.uk to discuss your objectives. Great ideas and a well-executed video can gather momentum and gain traction for your brand in the blink of an eye. The day began with an influx of Tweets from several of his contemporaries and peers in the music industry, from Madonna to Paul McCartney. Demonstrating that Bowie’s influence was significant throughout popular culture, and not just in the music industry, the German Foreign Ministry thanked him for his help in unifying East and West Germany. In fact, within the first 12 hours of news that David Bowie had died, 35 million people had 100 million interactions about the rockstar’s passing on Facebook. In true Bowie style, the outpouring of tributes became more creative as the day went on, particularly video content. Chris Nickol decided to play Life on Mars during his regular lunchtime organ recital, after hearing of the singer’s death on the morning news bulletins. Mobile phone footage of the performance has been viewed more than 1.7 million times on Facebook alone. A video of 6,400 schoolchildren singing Life on Mars in an impromptu tribute to the late singer at Genting Arena has also spread like wild fire across the Internet. 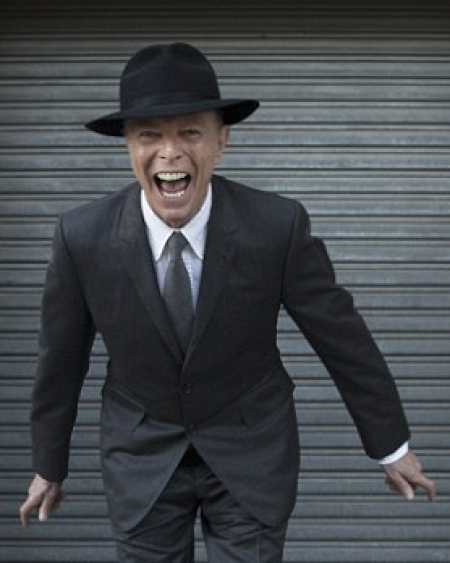 The media also reacted to the news – pictures of Bowie dominated the paper’s front pages on Tuesday. Fans of David Bowie can choose to pay their respects by adding an Aladdin Sane flash, popularised by the singer on one of his most famous album covers, to their Facebook profile using the Manchester Evening News’ generator. It’s with a heavy heart that we say goodbye to a British icon. Let us know what David Bowie meant to you, @JAM_Manchester. January is all about making changes. You might be committing to ‘Veganuary’, or, like us attempting ‘Dry January’ (reluctantly). 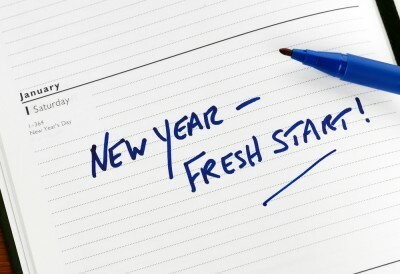 Either way, the beginning of a new year is the perfect time to set goals and master good habits in both your personal and professional life, as well as breaking the bad. Mark Zuckerberg’s resolution for 2015 was to read two books each month, and if it’s good enough for him, it’s good enough for us. According to Michael Hyatt readers make better leaders; it de-stresses you, makes you a better communicator, and broadens your creative mind. 2016 marks the creation of the JAM Reading Club; ‘Exposure’ by Helen Dunmore and ‘The Blade Artist’ by Irvine Welsh are at the top of our list. Read our 2015 blog post on being a bookworm for more literary inspiration. As dedicated PR professionals, we are always looking to develop our skills. Improving the delivery of presentations is something that all PRs should work towards in order to communicate better with clients, potential clients, colleagues and journalists. One of the ways we aim to do this is by banning passive phrases and using direct language such as ‘I will’ and ‘I am going to’ when addressing our audience. PRs should avoid ‘wishy washy’ phrases such as ‘you should perhaps consider’ and ‘I was just thinking’. Clear, simply-worded statements are often the most effective and will garner trust and understanding from your audience. The same direct style of communication applies to emails, too. If you’ve not already seen former Google and Apple employee, Ellen Petry Leanse’s opinion piece, it’s definitely worth a read. She believes the word ‘just’ is over used in emails and makes the sender sound subordinate and passive. Striking the word out will almost always strengthen and clarify your message. Try it yourself; we did, and she’s right. The Jammers are also in debate about opening emails with ‘I’, as some suggest this immediately sends a message that you are more important than the person you are communicating with. We’d love to hear your thoughts on this… Tweet us @JAM_Manchester. The PR industry is heading towards a fully digital approach, utilising content such as video and infographics to communicate key messages. Grabbing the attention of journalists via Twitter, rather than in an email or on the phone, is an increasingly effective way to execute a pitch. According to a report by Triggertrap journalists make up almost 25 per cent of all Twitter users, so mastering a Twitter pitch is an invaluable skill for all PR professionals. We’ve already seen great success from doing this in 2015, and pledge to use Twitter as a pitching platform even more in 2016. We wish all our lovely friends, followers and clients a successful 2016, and if you would like to know how the Jammers could help your business this year, please contact Jaime@jampr.co.uk.